Permanent cosmetics can be whatever you want it to be, from natural, glamorous, obvious or understated. What ever you choose, Tace won’t let your enhancement look anything less than perfect. A Pigment is implanted into the dermal layer of the skin using a state of the art machine designed specifically for the cosmetic and medical market, which is very different to conventional machines and inks used in regular tattoo clinics. The treatment lasts around 3 – 5 years and are carried out in accordance to strict health and safety protocols using single use sterile needle cartridges. 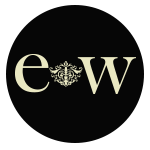 The above prices include a re evaluation after 6 weeks which may include a top up if required. 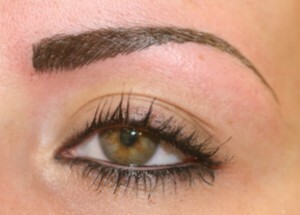 The eyebrow is the most prominent feature of your face giving expression, warmth and depth. 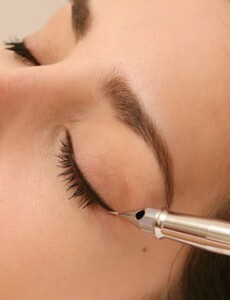 Perfectly defined eyebrows give the complexion a groomed, fresh and youthful appearance. 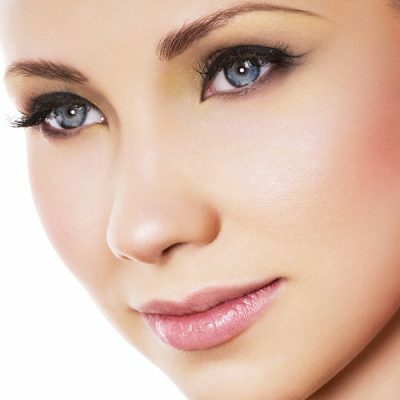 They give shape and definition to your face and can often have that illusion of the much desired face lift. 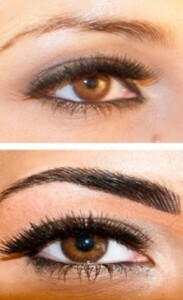 Over the years most eyebrows become patchy and thin due to ill health, over plucking or simply deteriorate with age. 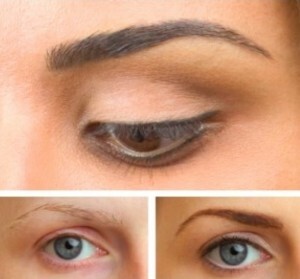 Some people have naturally sparse brows, whilst others may suffer from total loss due to alopecia or cancer treatments. 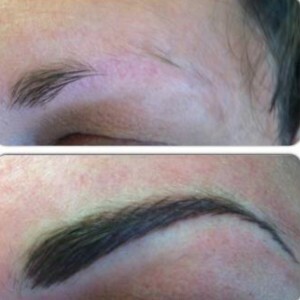 With semi permanent make up can create the appearance of natural brows, hair by hair. Re-shaping results are incredibly realistic and natural looking and the results for those clients who have lost their brows, for whatever reason can be simply overwhelming. After your eyes, your lips are the most noticed feature of your face. Mother Nature can't bless us all with naturally full, luscious lips but, thankfully, we now have the option of restoring and boosting our youthful pout with Semi-Permanent lip treatments. Lips can be made fuller and given more definition to create a shape which may have faded over time or give you that look you have always been looking for. As well as plumping the lip area, these treatments can correct any shape or symmetry concerns a client may have. Any imperfections or scarring can easily be corrected with this semi-permanent treatment. Clients can choose an outline that can be applied to give great shape rather than lots of colour or alternatively the treatment can be applied more boldly for a more glamorous, overall look. Precisely applied in the colour of your choice and as subtle or striking as you want. 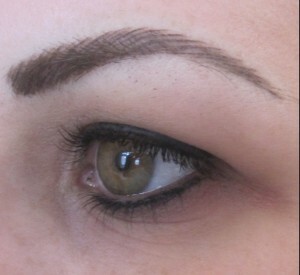 Permanent eyeliner makeup does not smudge or smear and stays perfect no matter what life throws at you. Often tricky to apply, normal eyeliner makeup can become frustrating, particularly when it does not last the day, this treatment allows you to enjoy your eyeliner all day and all night! Most people agree that having semi permanent eyeliner, not only opens, widens and brightens the eye area, it also give the illusion of thick and voluminous lashes, reducing the need for eyelash extensions and perfect for all.